Help familiarise the students with the major cultural issues of Ancient Greece and the Aboriginal, Quebecois and Canadian societies, in order to awaken their curiosity about the art world, and to learn how to communicate their ideas, sensations and emotions through artistic creations. Explore sacred art through Greek, Aboriginal and religious mythology through ancient and contemporary works of art presented in The Reunited Islands exhibition. A stimulating visit animated by observation games, quizzes and thematic activities, which will contribute to raise their awareness of certain religious realities, including Christianity’s influence on the Western world. Introduction to calligraphy and illumination techniques used in the Middle Ages by creating ornate initial letters with decorative, vegetal and zoomorphic patterns using the first letter of their first name. A workshop inspired by The Book of Hours, an important 15th century piece presented in the museum, it represents an opportunity for the youngsters to express their creativity and personality. 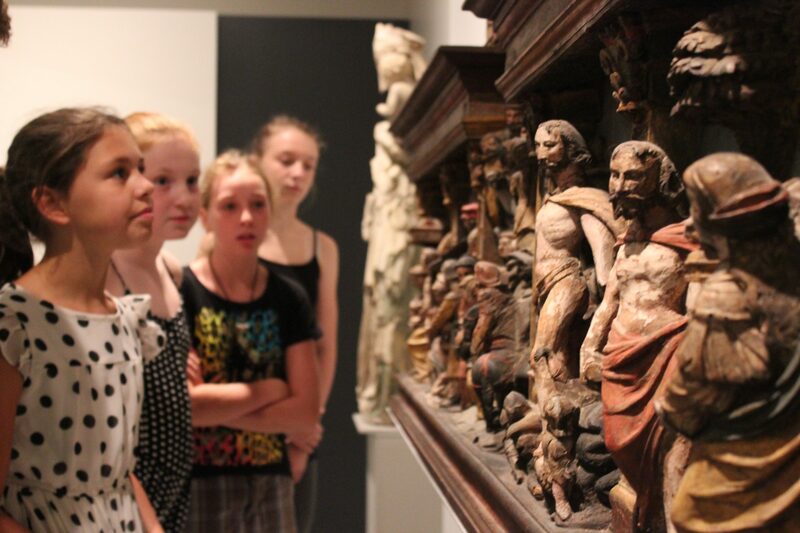 Help familiarise students with art history, establish coherent connections between the works of art and finally, be able to form critical and aesthetic judgements. An original voyage through art history thanks to the landscape from The Reunited Islands exhibition. Pieces from the 16th to 20th century through which students will be able to discover the many sociological issues that led artists to abstraction and modernity. Create a scenery only with lines, textures and colours inspired by the in-house works of art, using the cartogravure technique. An opportunity for students to discover new artistic techniques and to develop their dexterity and imagination.